Elon Musk is keeping Tesla a public company. Making it a successful public company will take more work. After less than three weeks, Musk abandoned his plan to take Tesla private. He had said he wanted to free the company from the pressure of Wall Street’s obsession with short-term results. 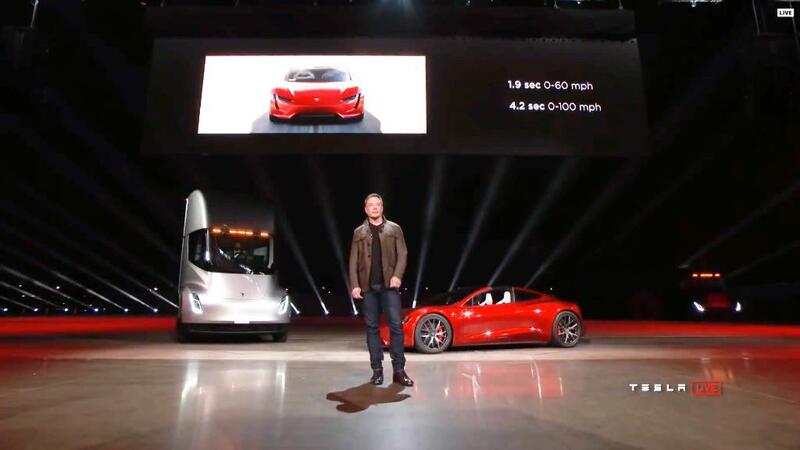 On Friday, he said that Tesla (TSLA) shareholders large and small preferred staying public, and that going private would be more difficult than he originally believed. Here’s what Musk needs to focus on now. This is the most important thing on Musk’s to-do list. And probably the most difficult. In late June, Tesla finally reached its long-delayed goal of making 5,000 of its Model 3s per week. Musk essentially built a second assembly line under a huge tent to meet that target. Now he needs to prove that it wasn’t a fluke, and that Tesla can maintain and even increase that level of production. Hundreds of thousands of Tesla fans have given the company $ 1,000 on the promise that they will be able to get a Model 3. Some have waited since the company started taking orders in April 2016. Their patience won’t last forever. Tesla needs to hit production targets because it needs revenue to turn a profit. The company badly needs cash. An estimated $ 1.2 billion in debt comes due by early next year, and Tesla plans a $ 2 billion plant in China that is critical to its expansion in the world’s largest market for car sales. Musk has denied that the company faces a cash crunch. He says increased Model 3 sales will generate enough cash to finally make Tesla profitable in the second half of this year. “We will not achieve our mission of advancing sustainable energy unless we are also financially sustainable,” said Musk in his blog post announcing the decision to remain a public company. Musk revealed plans to go private in a tweet. The company was soon hit by two shareholder lawsuits, charging that his claim that he had “funding secured” was false and an attempt to manipulate the stock. Numerous reports have said that the Securities and Exchange Commission is also looking to whether Musk violated securities law with his “funding secured” claim. The SEC has declined to comment on those reports. Tesla has declined to comment on the suit or any investigations. Neither the suits nor any investigations will vanish just because the company has dropped plans to go private. One reason Tesla has grown so fast is that investors have been willing to give Musk the funding he needs to build the company. But after initial excitement, the market soon showed deep investor doubts about Musk’s ability to pull off a deal to take Tesla private at $ 420 per share. “We still think there is work for Musk to do to rebuild that trust in the market,” Gene Munster, managing partner of Loup Ventures and a leading tech analyst, wrote in a research note shortly after Musk announced the company would remain public. The stock is down nearly 20% from its high after Musk said he had “funding secured” in his tweet August 7. Musk says short-sellers, investors who make bets that the stock will decline, “constantly peddle fear, uncertainty & doubt about Tesla,” damaging the company. The best way to defeat short-sellers is not to go private, but to get the stock moving higher again. To do that, Musk needs to produce the cars and profits that fans are betting on. Musk has faced calls to bring in an experienced second-in-command to help run the company day to day. Sheryl Sandberg helped Mark Zuckerberg make Facebook (FB) into a powerhouse, and Eric Schmidt helped Google (GOOG) founders Larry Page and Sergey Brin take the company public. Finding the right person wouldn’t be easy. Numerous top executives have reportedly left the company recently rather than work under Musk’s mercurial management style. That need for help only became more apparent after Musk, in an emotional interview with The New York Times, spoke about working 120-hour weeks, rarely leaving the factory and not having time to spend with family and friends. Even if Musk thinks he can keep working 120-hour weeks, almost no on else thinks that’s a good idea. Obama added 10.9 million jobs. Were they good?